Meet our newest #WomanEmpowermentWednesday pick, Gessie Thompson. Gessie Thompson is the definition of perseverance. After undergoing three surgical procedures to remove fibroids, several IVF treatments and being told her unborn baby was severely underweight before she gave birth, the New York based Brand Strategist and Fertility Coach never lost hope. This year, she is speaking during our Empower U sessions but before she joins us in July, we wanted to acknowledge her. Gessie and her husband Marc were featured in the May 2014 issue of ESSENCE Magazine. She told the story of her 10-year fight to become a mother, which all started with a visit to her doctor in 2001. Gessie and her husband received heartbreaking news when her gynecologist told her she had fibroids, which could hinder her journey into motherhood. She and her doctor decided to have them removed while still keeping her uterus in tact with a procedure called a myomectomy. Little did she know, that would be one of her first three surgeries to remove her fibroids as they returned twice more before the time she was 40. With the side effects of her ongoing IVF treatments causing her to be enraged at all times, Gessie felt her life and her marriage tumbling out of control. But after speaking with her friend Denise who reminded her that God was making a way for her baby through all the drama, and her godmother Yanick who prayed she would have a baby in one year, Thompson realized she could not give up. In February 2011, she found out she was pregnant with her gorgeous baby girl Nia, just as her godmother—who at the time had no idea she was battling this ordeal— prayed. 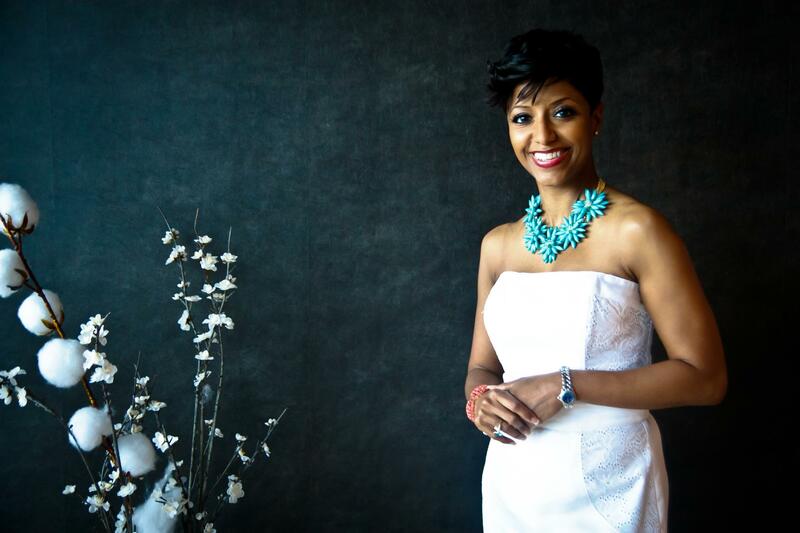 In an effort to spread hope to other women battling with fibroids, Gessie has made it her mission to educate, empower and strengthen every woman in need. Whether she is posting powerful messages on her Instagram or speaking out about dealing with Fibroids on national television, Gessie has used her test as a testimony of faith, perseverance and love. For beating the odds and showing us how, Gessie Thompson is our #WomanEmpowermentWednesday pick. Don’t miss her or any of our inspiring speakers at #ESSENCEFest2015! Sign up for Gessie’s Empower U session here.